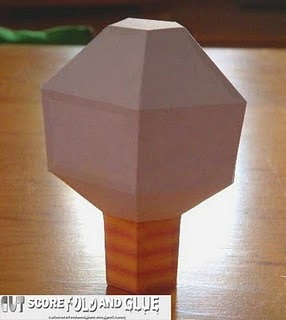 These 4 Paper Model Books created for Hinkler Books require No Glue or Cutting. 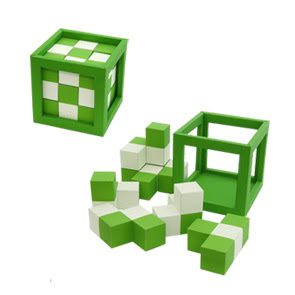 The ‘Pop-out’ and pre-scored Paper Models use the familiar ‘Plug into the Slot’ method of assembly along with small stickers to secure their joins. And the action continues after assembly: Suspensions can moved up and down. Rotating wheels can be extended or swapped even! 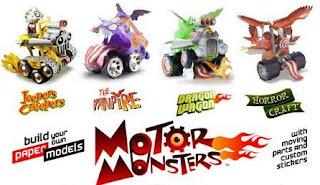 In fact their hideously deformed bodies can be contorted into a variety of outrageous poses and then customised with ‘Styling Stickers’ and reversible parts. You can order yours now at Hinkler books. I'd sure love to get my hands on these monsters!!! "In the future, the scientists discover that earth's core is about to stop spinning. This will of cause tremendous natural disasters, wiping out life as we know it. And to prevent it, they made a robot named BORBOT, a drilling robot that can go down and walk into the core of the earth to detonate a nuclear device that will reactivate the core of the earth and save the world from destruction." 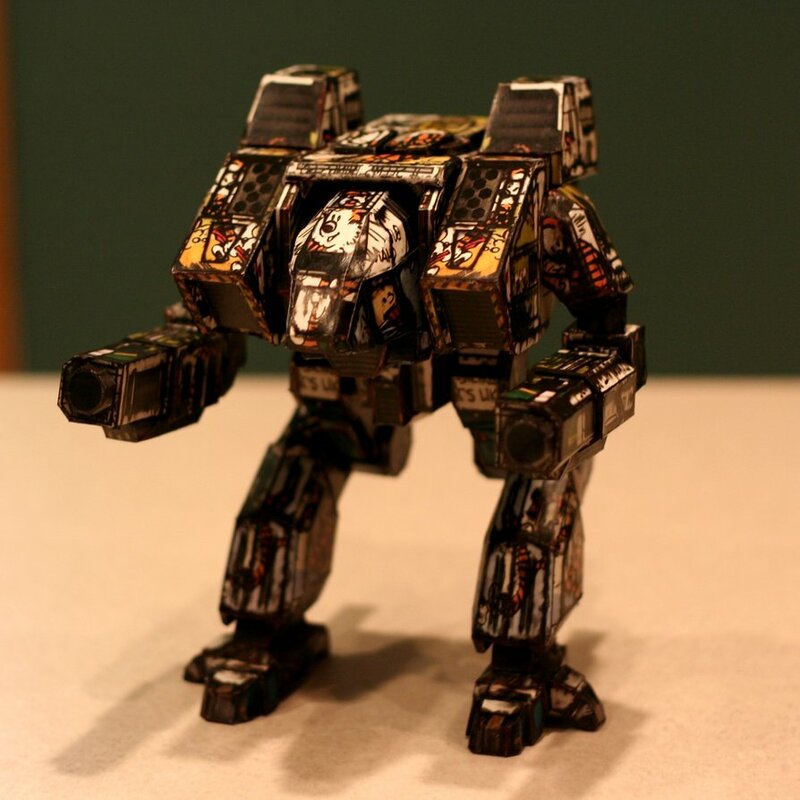 An amazing Linebacker mech designed by deviantart user monkeyrum. 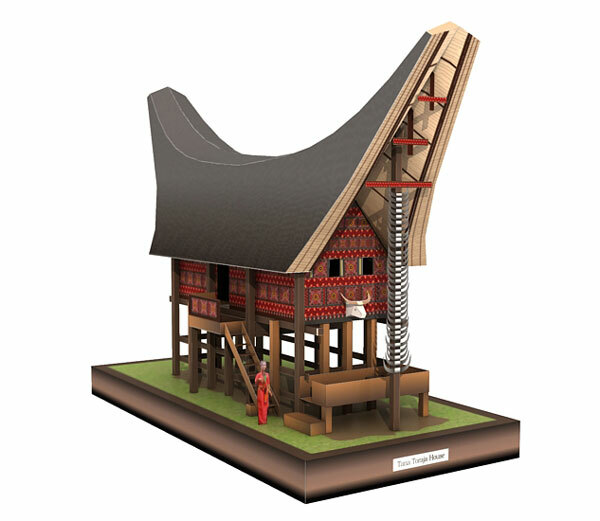 The file is in pdo (pepakura) format and the built model stands at 7.5 inches tall ~19.01cm. 14 additional skins are also available for download. 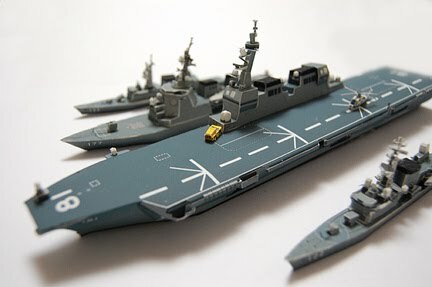 The Hyūga-class helicopter carriers are a type of helicopter carrier built for the Japan Maritime Self-Defense Force (JMSDF). There are only 2 pages of parts. That is the mask of Alata, the Red Gosei in the Toei Company's thirty-fourth Super Sentai Series Tensou Sentai Goseiger. The Constructicon Rampage that appears as a Caterpillar D9L bulldozer forms the left leg of Devastator. Mixmaster is hobikitkertas' 4th Constructicon model. Mixmaster resembles a cement mixer truck and forms Devastator's head. The D6-class was a type of battle cruiser which saw service in the Klingon Empire. 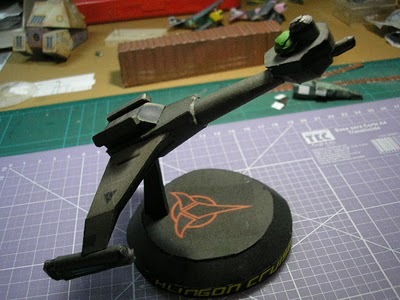 This 1:700 scaled model was designed by Mr. Gomide of Pericles Stuff Mark II blog. 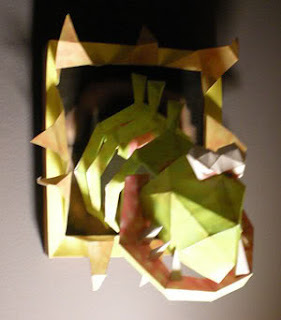 Check out French designer Zgirofka Zsuic's second custom of the Paper Ninjas. 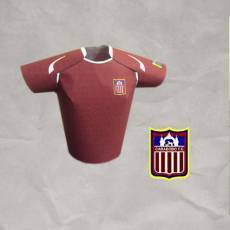 Carabobo FC is a Venezuelan football team based in Valencia playing at the Primera División Venezolana. The light bulb is used in the Running of the Bulb mini-game in Mario Party 2. The objective of this mini-game is for the characters to work together and carry the light bulb to the generator located at the end of the room. The Igloo is a secret place in Snowman's Land in the Super Mario 64 game. It looks small on the outside but it is really big inside. Clams in Super Mario 64 are lifeless objects that contain items. 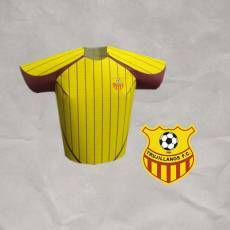 The Trujillanos Fútbol Club is a Venezuelan football team playing the Primera División Venezolana. 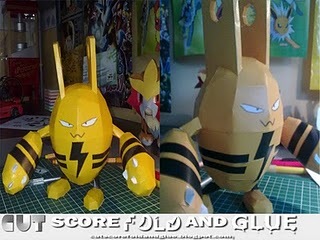 Elekid is an electric-type baby Pokémon that evolves into Electabuzz. 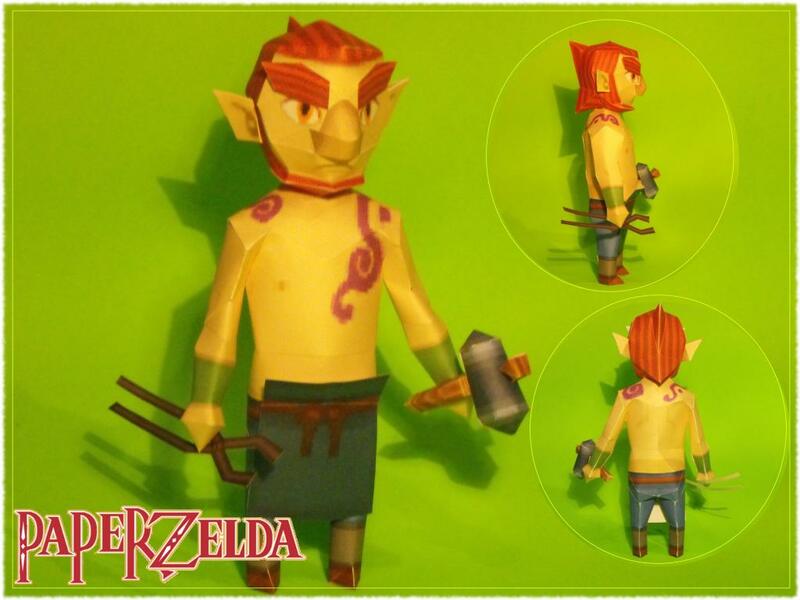 Zauz is the red-haired blacksmith who resides on Zauz's island in the Legend of Zelda: Phantom Hourglass game. His assistance is at one point required, in order to forge the powerful Phantom sword. 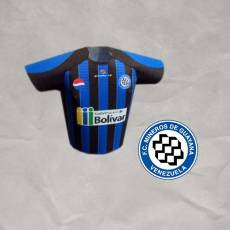 That's the jersey of the Venezuelan football team Mineros de Guayana. 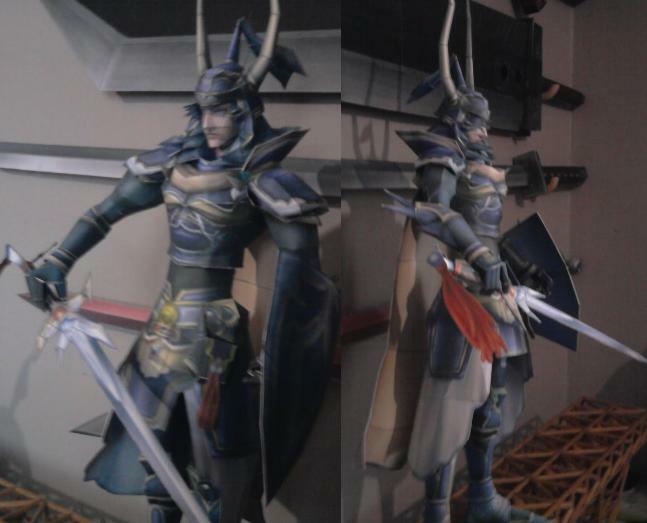 The Warrior of Light is one of the heroes fighting for the side of Cosmos in the PSP game Dissidia Final Fantasy. Another great model from Ace. 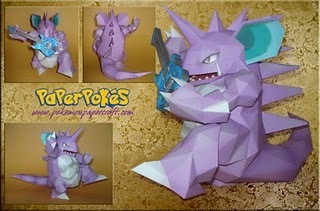 Another Paper Ninja cutom, this time by French paper toy artist Zgirofka Zsuic. 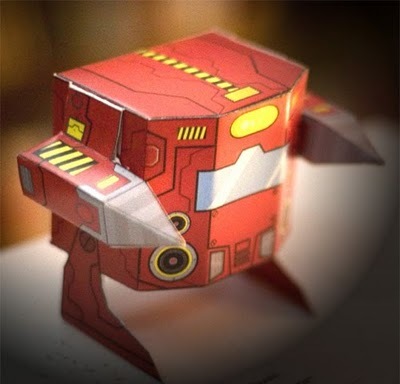 This blue-themed ninja named Bee Lu is the second custom of Jo Dee's latest paper toy Series. 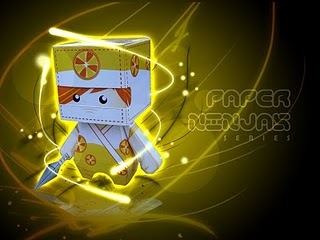 Jo Dee's very first custom of his Paper Ninja. Oren means orange. Check out Julius' third life-sized papercraft. 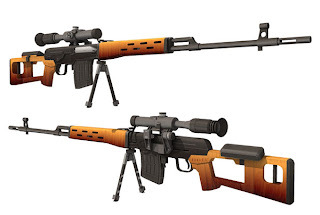 The Dragunov sniper rifle is a semi-automatic sniper rifle chambered in 7.62x54mmR and developed in the Soviet Union. 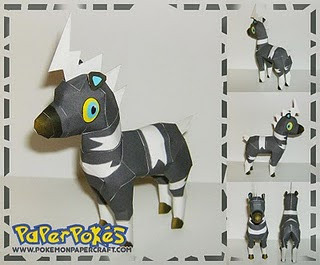 Shimama is an electric-type Pokémon that resembles a white-on-black zebra. 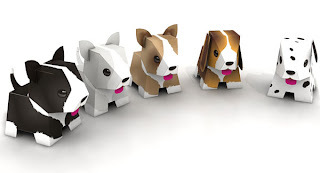 Jo Dee has created a new papertoy series called Paper Ninjas. The blank template is up for grabs. Download now and design your own ninja. A very cute Pokemon from the guys at cutfoldandglue blog. 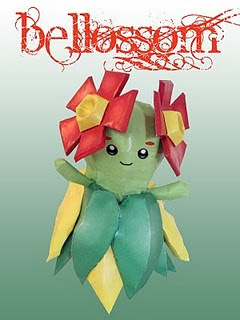 Bellossom is a Grass-type Pokémon that evolves from Gloom. Check it out! 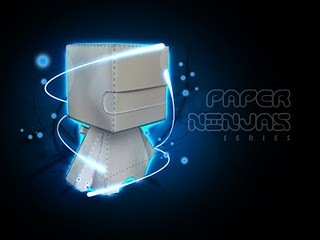 A pretty simple chair papercraft by deviantart user nasman1993. 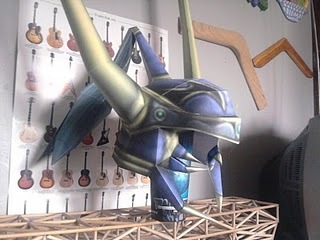 You'll need 4 black cut metal or another material for the legs. The third model from hobikitkertas' Devastator series is out! The Hightower in vehicle form is disguised as a truss crawler crane. It forms Devastator's left arm. 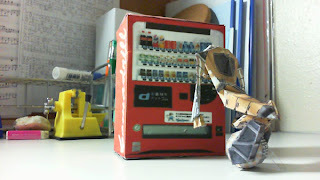 A vending machine and a robot of some sort..lol. Both from the Japanese site komadrill.inaa.net. Check out Il Templo Gigante papercraft designed by Tord Hokenstrom. 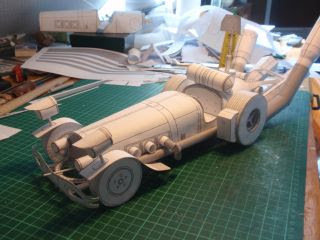 This racing car is based on the 1975 Norwegian movie Flåklypa Grand Prix. 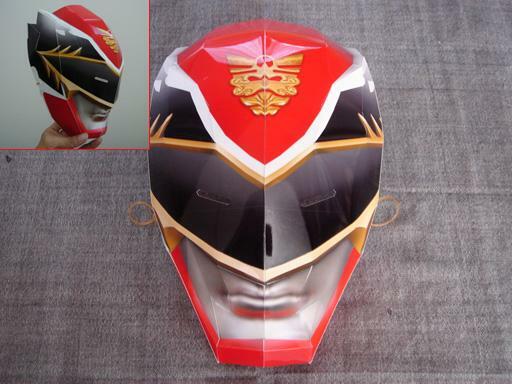 The un-colored model above is the prototype build while the parts available for download are colored. That familiar-looking rocket is called Stubby based on Tor.com's logo. That awesome papercraft was designed by Robert Nava of Disney experience. 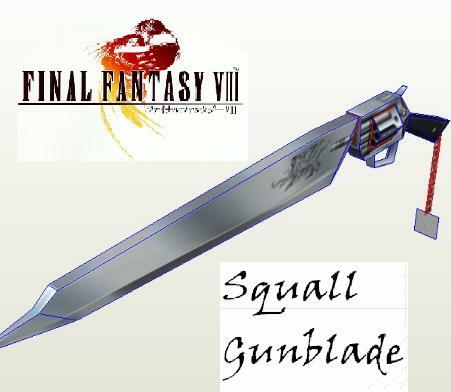 The gunblade is the weapon of Squall Leonhart Sony PSX's RPG Final Fantasy VIII's main protagonist. A gunblade is a sword that uses components of a revolver that sends vibrations through the blade when triggered. A pretty simple Bugs Bunny papercraft from the mad hatter. 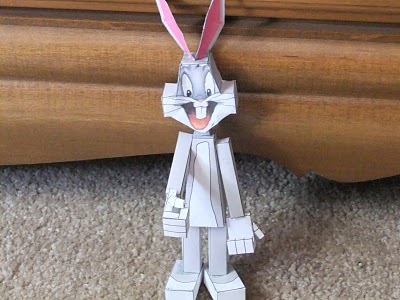 Another version of Goomba papercraft. This one's from Mario 64. 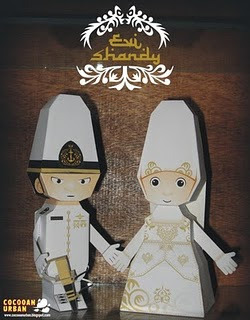 Idham of cocooanurban created this cute papertoy for his best friend's wedding. Check out this 3D logo of the Half-Life 2 video game by the papercraft couple. 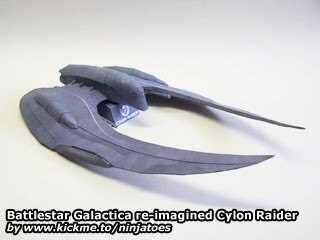 The Cylon Raider is the standard starfighter used by the Cylons from the Battlestar Galactica movies and television series. This is Jo Dee's version of the crate that the Germans used to store the "panzerfaust"(recoiless anti-tank weapon) during the World War II. Ace has completed the four main weapons from the PSP game Final Fantasy 7: Crisis Core. 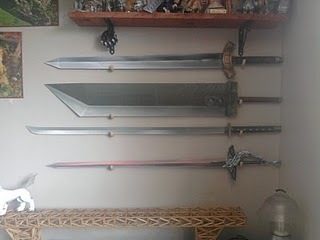 From top to bottom are the soldier's sword, Angeal's Buster Blade sword, Sephirot's Masamune (Katana) and Genesis' rapier sword. That's a nicely build helmet of the Warrior of Light, one of the playable heroes from Dissidia: Final Fantasy. A Portrait Chompa is skeletal-fish like enemy found behind portraits in the Mad Monster Mansion level of N64's Banjo Kazooie. Hobitkertas' second Constructicon model is out. Overload is the red dump truck who transforms and forms Devastator's torso along with Scavenger. 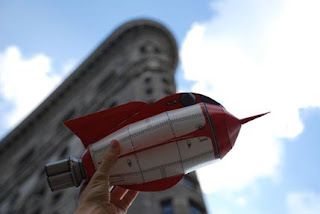 The Phoenix airplane is from the 2004 remake of the 1965 film "The Flight of the Phoenix." In the movie, the survivors of the Mongolian Desert crash struggles to survive as they build the Phoenix aircraft from parts of the crashed C-119 flying Boxcar. Nidoking is a dual-type poison/ground Pokémon that evolves from Nidorino. Nidoking is the male of the species while Nidoqueen is the female equivalent. Anzu Chigusa is ready to show her dance moves. Just not sure who this character is though. Model designed by kawaiiCritters. Build these five cute puppies from paper-replika. These were designed for Animal Friends Jogja. Really cute!!! Here's another version of Tingle from the Legend of Zelda: Wind Waker. 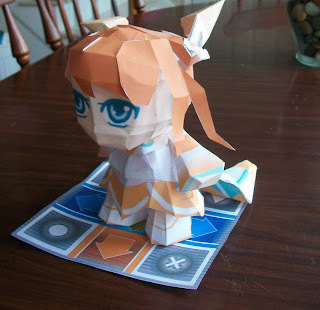 This model was designed by the papercraft couple. Putin wears a prison uniform with green stripes, number 541. 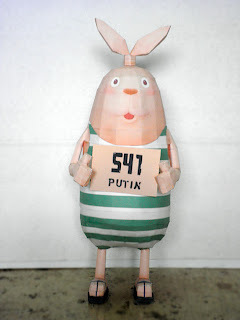 Putin is one of the main protagonists in the MTV Japan series Usavich. "Solomon Grundy has superhuman strength and endurance...He is virtually indestructible thanks to the elemental energy that imbues his form with pseudo-life. He is nearly invulnerable to physical, magical, and energy attacks and he is not affected by fire or cold...He does not need to eat, sleep, or breathe, although oddly he was once choked to death by Green Arrow"
This model was designed by John-Paul Cote and comes with its own dioramic display battling Green Arrow and Speedy in a graveyard!